FREYLUBE GOLD is an exclusive, semi-synthetic lubricant specially formulated for most of today’s heavy-duty lubrication applications. It is a single, multi-purpose product that not only lubricates, but protects against rust as well. Unmatched protection against rust – meets ASTM Standard 1743 for fresh water and ASTM Standard D5969 for salt water. Organic moly extreme-pressure additive guards against heavy shock loads and wear (Timken load 60 lb). 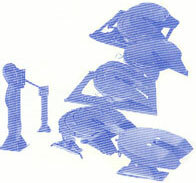 Handles a wide operating temperature range – from -40°F to 400°F. High drop point of 500°F (minimum). Features a special polymer to ensure that the lubricant adheres to the fifth wheel. Reduces friction for longer part life. 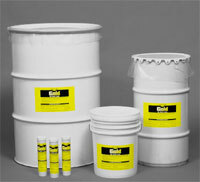 FREYLUBE GOLD costs only pennies per application – a low-cost investment for rust protection. It is easy to apply using an applicator or a stiff brush.